In the article I’m going to tell you about A Brief Guide To Caring For Gold Fish. Our first pet gold fish is oftentimes our last. A crude fact, and perhaps a bit more general than some people would want, but it serves to prove an important point: when it comes to caring for gold fish, we (most of us anyway) don’t know squat. This is due in no small part to the rampant misconception that there is nothing we need to know about gold fish care aside from buying a tank, filling it up, and littering it with some flakes every now and then. There’s a lot more to caring for gold fish than the occasional feeding, and failing to recognize that puts our gold fish at serious risk. How much risk? Well, considering part of the reason why people choose not to buy another gold fish after the first one passed away is because the original died too soon for their taste, you can probably imagine. So here’s a brief guide to caring for gold fish. 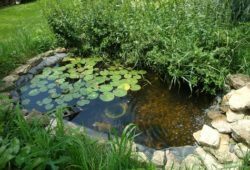 While most of these instructions may come across as plain good sense, chances are you wouldn’t even have taken them into consideration as a novice in fishkeeping. 1.If you know anything about caring for gold fish, then you know that the classic image of gold fish in a glass bowl is incredibly misleading. Keeping your gold fish in a bowl will likely lead to stunted growth and restricted movement due to the limited space. Not to mention gold fish excrete a lot of waste. With less space and less water to dilute the waste, your gold fish will be forced to swim and eventually drown in its own toxic filth. 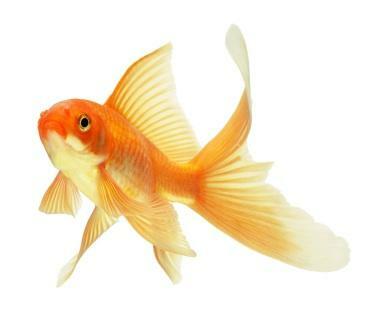 2.Your gold fish’s filth is also why you must make sure that your fish tank is cleaned on a regular basis. If you got a bigger tank (which you should have if you listened to my advice above), then you probably don’t need to clean it everyday. 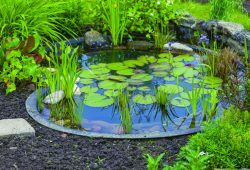 Of course, it’s always better to maintain the quality of your tank’s water. Consider getting siphons and filters and changing the water on a regular basis. 3.No matter how tempting it may be, never run your fingers along your gold fish’s scales, and for the love of all that is good and holy, do not pet it! Doing either can cause it to lose the thin, protective layer that guards it against bacteria of all types. Sometimes, caring for gold fish means leaving them well enough alone. 4.Set the tank up in a spot where there is a lot of light. Gold fish are known to lose their luster over time without light to keep them aglow. 5.Also make sure your tank isn’t located where its water could be affected by extreme shifts in temperature. Gold fish are vulnerable to sudden changes in temperature, and could die from the shock of being immersed in significantly colder or warmer water than their bodies have gotten used to. 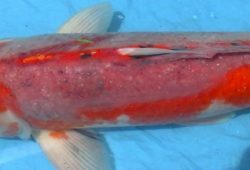 Keep in mind that gold fish are capable of surviving in temperatures between 10 to 25 degrees Celsius. Leaving them in a comfortable and stable environment is one of the secrets to gold fish care. 6.Finally, watch what you feed them. Gold fish tend to keep eating long after they were supposed to stop, and some types have even been known to beg long after they’ve had their fill. A pinch or two of flakes should be enough of a meal for most fish. These are but a few things to keep in mind when caring for gold fish. With these and with any luck, your first fish will end up to be your last only because it lasted a whole lot longer than you expected it to.